As an animal lover who often rescues, fosters and rehabilitates abandoned and/or injured animals (mainly dogs, cats, birds), I am naturally led to include various animal projects as a part of Thou Art Yoga's initiatives and offerings. Increased relaxation, lower heart rate and blood pressure, increased opportunities for activity and fitness, decreased levels of mild to medium depression . . . Many of the benefits or practising yoga are similar to the benefits of owning a pet and/or spending quality time with animals. As a bonus, the pets of people who practice yoga (myself included) often are peaceful animals, love being around during yoga (or doing it themselves) . . . and may even take over your yoga mat and make it their own. 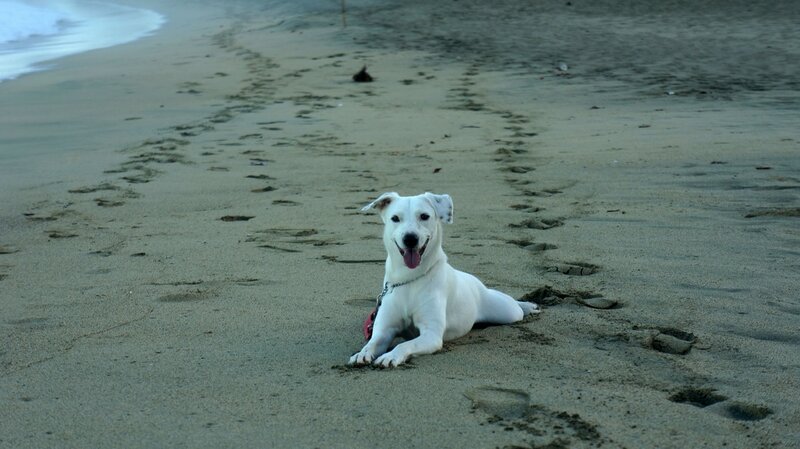 As a dog lover visiting Tobago, your holiday will not be complete until you meet and spend quality time with my dog, world famous Venus Doggess of Love. When the tide is out, enjoy a long walk with me and Venus along Venus's favourite beach—inclusive of light refreshments, professional photos of you and Venus . . . and more. Please use the contact form below to make your booking and receive more details! I/We would like to book a Venus Walk! 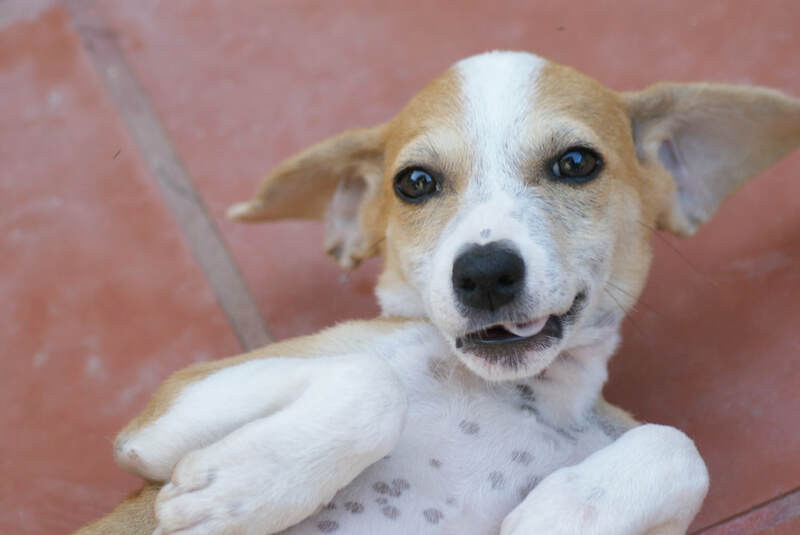 Visit the Facebook page of my dog,​ Venus Doggess of Love, to see photos of stray/rescued Tobago pups and dogs available for fostering or adoption (to anywhere in the world). 1. 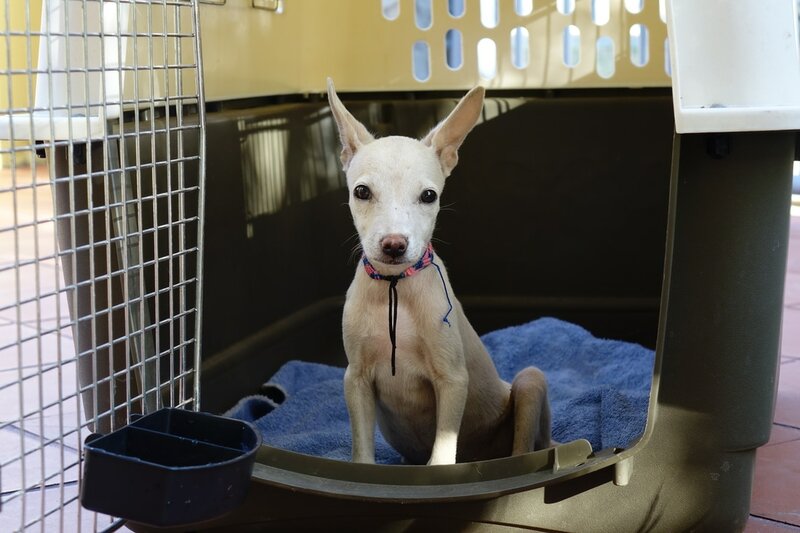 Donate toward reduced-cost spaying/neutering of Tobago's stray dogs and cats. 2. Foster or adopt a spayed/neutered stray. Both local and international adoptions are possible. 3. Volunteer to collect and/or transport animals to and from vet for spay/neuter operations. ​4. Any other way in which you think you may be of service to this worthy cause. Please use our CONTACT FORM for more information, to inquire about fostering/adoption and to let us know how you would like to be of service.